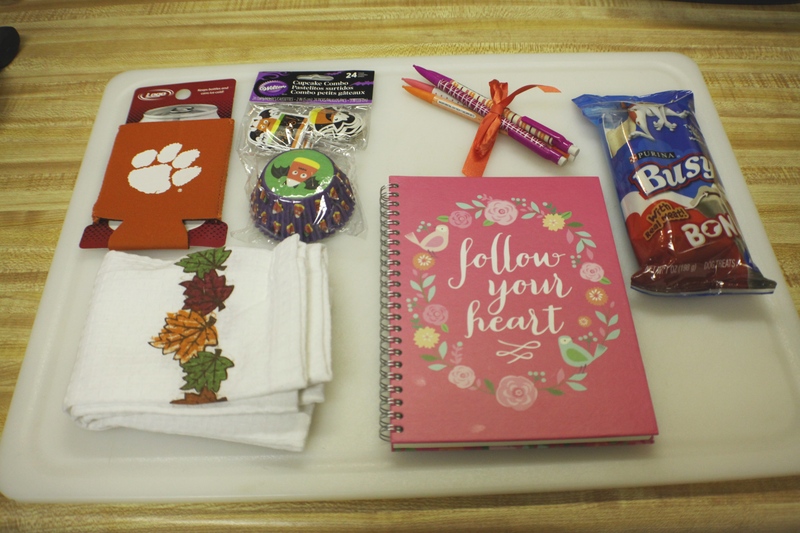 Thanks to Wifessionals for creating a pen-pal box swap that allows for friendships to grow. I was paired with two lovely ladies the last couple months. Stephanie is a fellow Army significant other. Her soldier is coming back soon from deployment, and I could not be more excited for them! Such a joyous time to be together again! She is also an avid runner, who is training for a marathon. Power to ya girl! It was really kind of ridiculous how much we had in common beyond just first names. It was great to be a support for each other this month. Tiffany hails from South Carolina. (So obviously we chatted quite a bit about Clemson and the area around it.) She is expecting her first child to arrive in the next few moments. She is a beautiful momma, and I love seeing her updates! We also chatted a lot about photography, and she gave me some great tips and sights to look into. She was so sweet and encouraging to have this month! I sent Stephanie a box, and you can check it out on her site. I did make an ear warmer for her so I will share that later on this week. Tiffany did such a wonderful job with the box she sent me. 1. Ironically, I do not have a Clemson coozie. Love! 2. Baking decorations-so cute! I will have to save these for next year since I didn’t come up with a recipe fast enough last week! 3. Note book and pencils-to feed into my school supplies addiction. 4. Fall kitchen towels-I know you all know that I love fall! 5. Dog treats-They were very happy about these! She also wrote a lovely note for me. Perfect! 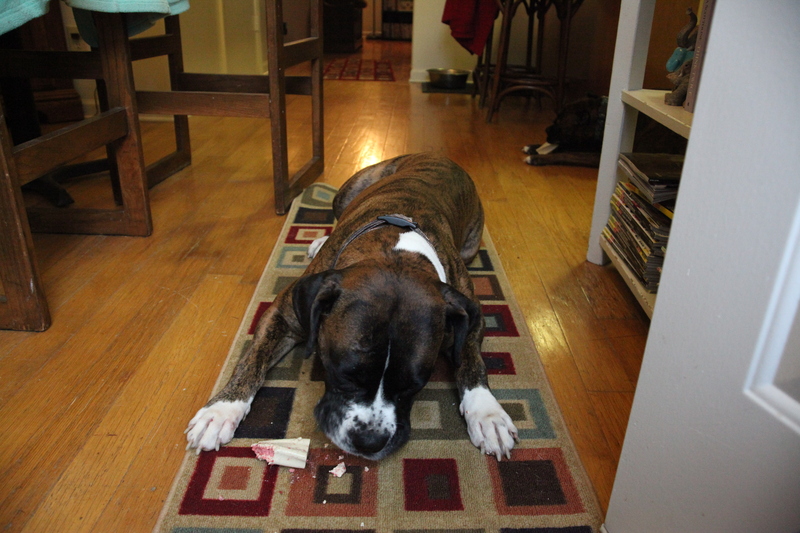 The dogs pretty much devoured their gift in seconds. I look forward to keeping in touch with them both! You should check them out too! This entry was posted in It is what it is and tagged Cara box, friendships, gift swap, pen-pals. Bookmark the permalink.